Long-term care is the help you may need if you are no longer able to care for yourself. You may need long-term care if you have a prolonged physical illness, a disability or a cognitive impairment such as Alzheimer’s disease. Long-term care is different from traditional medical care because it may not help to improve or correct medical problems. The purpose of long-term care is to help you function at a time when you are not able to be fully independent. Long-term care services can help you meet daily health or personal care needs such as bathing, dressing, using the toilet, and eating. Where can I receive long-term care services? People often think long-term care is given only in nursing homes. In fact, long-term care services are provided in a variety of settings. Services may be received at home, in a hospice facility, in an adult day care facility, nursing home, assisted living facility, and other settings. The assumed average stay in a nursing home is 2.5 years. The average length of time for informal or custodial care in the home is 4.3 years. Long-term care is expensive, and long-term care insurance is a product some individuals purchase to help pay for long-term care services. You may not realize that Medicare does not pay for the majority of long-term care services. Medicare only pays for long-term care when individuals require medical care or while they recuperate. Medicare does not pay for assistance with daily activities such as bathing, toileting, eating, dressing, and other activities. One of the number one ways that one can protect assets from nursing home costs is through the purchase of long-term care insurance. If purchased well in advance of the need for nursing home or assisted living care, obtaining long-term care insurance can be an effective way to cover a portion of long-term health insurance costs and preserve your assets. The Ohio Partnership for Long-Term Care Insurance is a collaboration between the state of Ohio and private insurance companies. The partnership was created to encourage Ohioans to plan for their long-term health care needs. If you purchase a qualified partnership policy, you will gain coverage for long-term care services. You also will be allowed to keep more of your assets if you ever need to apply for Medicaid long-term care services. Ohioans without a partnership policy who need Medicaid long-term care services must deplete almost all of their assets to qualify for the Medicaid program. How was the Ohio Partnership for Long-Term Care Insurance established? A federal law established the Long-Term Care Partnership, which is administered at the national level by the Centers for Medicare and Medicaid Services (CMS). The law gave Ohio and other states the ability to adopt their own long-term care insurance partnerships. The first four long-term care partnership states were New York, California, Connecticut and Indiana, where partnerships have been in place for about 20 years. Ohio Revised Code (ORC) 5111.18 authorized the Ohio Department of Job and Family Services (ODJFS) to develop the partnership in conjunction with the Ohio Department of Insurance (ODI), the Ohio Department of Aging (ODA) and the insurance industry. It is hard to know if and when you will need long-term care, but some statistics may help. About 60 percent of people over age 65 will require at least some type of long-term care services during their lifetime. This includes all types of long-term care, not just nursing home care. How do I know if long-term care insurance is right for me? if one of your major financial goals is to leave an inheritance to your children, grandchildren, or other heirs. Some people buy long-term care insurance for reasons other than to protect income or assets. They also buy for peace of mind, greater independence, greater ability to receive care at home, and greater choice of care options. So these financial guidelines may not strictly apply if your reasons for buying insurance are more about care choices than about passing on financial resources to your heirs. How are partnership policies different from traditional long-term care insurance policies? The main difference between the two types of policies is that partnership policies provide the benefit of Medicaid asset protection. This protection allows you to keep more of your assets should you ever need to apply for Medicaid to help pay for your long-term care costs. Why would I need Medicaid if I have a partnership policy? Long-term care is expensive, and you may have expenses that exceed your long-term care insurance coverage. If so, you can apply for Medicaid to help pay the difference between what the policy covers and what is owed. Owning a partnership policy allows you to keep assets that exceed the typical Medicaid limit and still qualify for the Medicaid program. How does the partnership insurance coverage work with Ohio’s Medicaid program? Here's an example: If you exhaust a $100,000 partnership policy, you could potentially qualify for Medicaid coverage and still retain $101,500 of your assets. Without the partnership policy, you could not obtain Medicaid benefits until your assets are reduced to $1,500 (individual). More information on Medicaid eligibility can be found at www.jfs.ohio.gov/ohp. Will Medicaid take the assets protected by a partnership policy after a policyholder is deceased? Assets which are protected by the partnership policy at the time of the Medicaid eligibility determination will continue to be protected during estate recovery. However, assets like certain special needs trusts, pooled trusts and annuities that are not considered “countable assets” when determining your Medicaid eligibility could be subject to estate recovery. Will a partnership policy provide coverage in my own home? Coverage may be available in your home if your care needs qualify under your policy. Additionally, you may be covered if you are in an assisted living facility, adult day care or a skilled nursing facility (nursing home). Ask your insurance agent for more detailed information about your policy’s coverage or review the Ohio Department of Insurance’s LTC Insurance Buyers Guide. How much do partnership policies cost? Each insurance company offering partnership policies determines its own premiums. The cost and benefits vary by company, so it's important to shop around. However, the younger you are when you purchase coverage, the lower your annual premium will be. Do partnership policies contain inflation protection? Yes. Each partnership policy contains an enhanced level of inflation protection if you are younger than 75. After age 75, the insurer must offer you inflation protection, but you do not have to purchase that option. Since it is not uncommon for policyholders to buy policies 20 or 30 years before benefits are actually used, inflation protection enables benefits to increase periodically while the policy is in force. Are there consumer protections in place for partnership policies? Yes. The Ohio Department of Insurance must approve insurance products and rate filings, as well as monitor company and agent conduct. This safeguard is in place to ensure rates are actuarially sound and the products meet partnership policy requirements. In addition, training is required for agents and/or brokers who sell and market partnership policies. How do I know if a partnership policy is right for me? 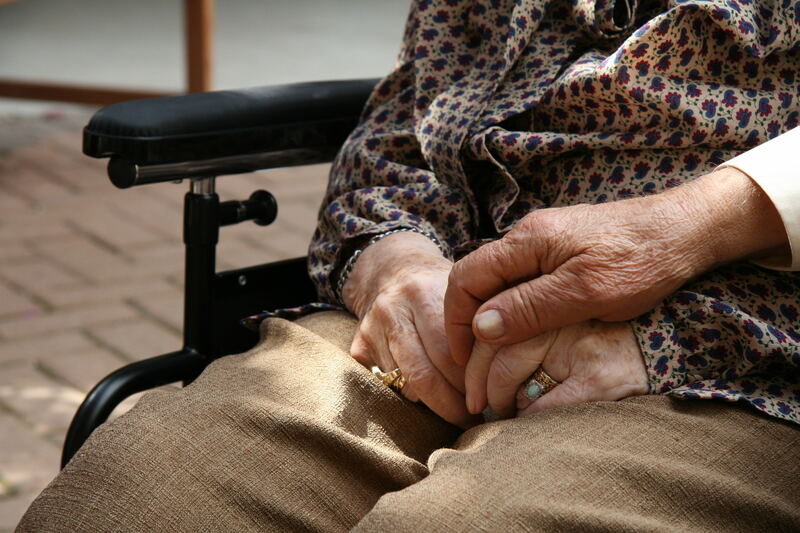 Can you afford to pay for long-term care services if you decide to pay out of pocket? Do you have assets you want to protect? What health care settings does the partnership policy cover? Do you want to protect your family’s standard of living? Can you afford the partnership policy premiums? Can anyone purchase a partnership policy? Like other long-term care insurance policies, partnership policies are subject to medical underwriting and may be denied based on various risk factors. How does Ohio treat partnership policies purchased in other states? Ohio recognizes qualified partnership policies purchased in other states to the extent the other state does the same. This is called reciprocal recognition. Can I exchange my current long-term care policy for a partnership policy? If your current long-term care policy was purchased on or after August 12, 2002, your insurance company must offer you the option to exchange it for a partnership policy. The insurance company cannot discriminate on the basis of your age or health status when making the exchange offer. You have 90 days from the date the offer was made to decide if you want to exchange your policy. An exchange is not guaranteed. You may be required to provide medical information for the insurer to determine if the exchange requires you to purchase increased benefits to qualify as a partnership policy. How do I purchase a long-term care partnership insurance policy? Are there tax advantages to partnership policies? Long-term care insurance partnership plans may provide you with tax advantages. Ohio allows an income tax deduction for the cost of unreimbursed long-term care insurance premiums for federally tax qualified plans like partnership plans. For more information, you can contact the Ohio Department of Insurance at 1-800-686-1578 or Ohio’s Medicaid Consumer Hotline at 1-800-324-8680. DISCLAIMER: Purchasing a partnership policy will not automatically guarantee you to be eligible for Medicaid when the time comes to apply. Income is a factor as well as a person's assets in the eligibility determination.